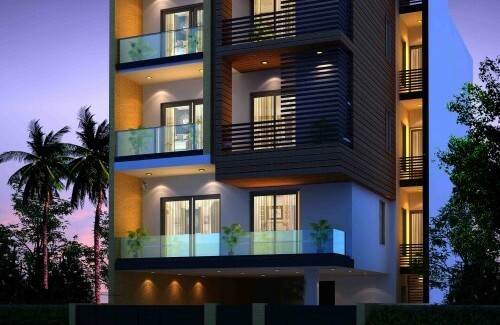 This is a north facing builder floor, comprises of three floors, each with a 3bhk floor plan. Ground floor is available as a duplex with basement. Each bedroom is attached with a bathroom. Elegantly designed floors are fitted with Italian marble flooring. Adding to the amenities, it has a well equipped modular kitchen, stilt parking, lift, back side park and two side open floor.